We are having similiar issues. 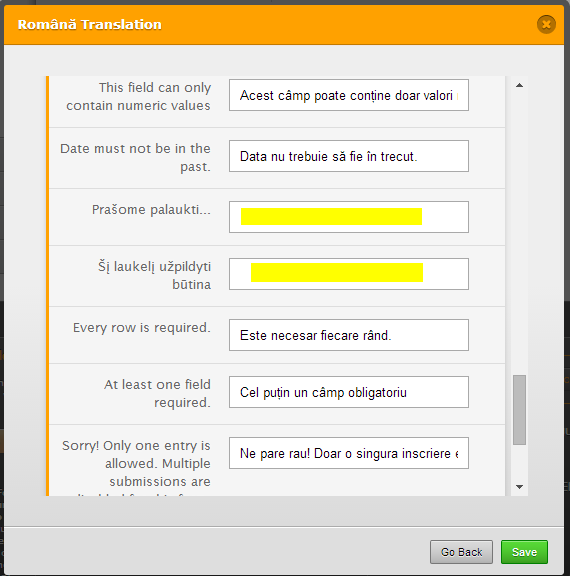 Form Warning translations would disappear (become blank) after some time (few hours) after entering them. I'm guessing this the form you were referring to http://www.jotformpro.com/form/41253016933953? This is the previously used form so I guess this is one but correct me if I'm wrong. 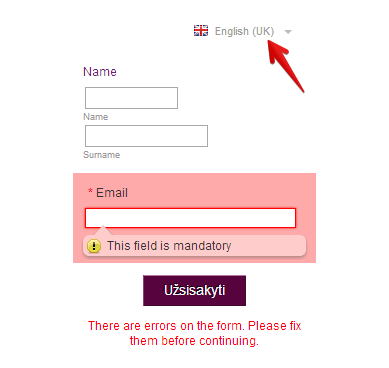 You mention that the form warning disappears (become blank), I was testing the form and I tried to change the languages but I'm unable to see the problem were the warning would disappear. If this is not the form in question can you please share to us your form URL or the website on where your form is currently embedded. You are correct, this is the form. I meant, that actuall translated data disappears, becomes blank. You can also use the form's Revision History feature to restore your form to a previous save point where the translation is still intact. Hopet this help. Please inform us if issue remains. I used Forms Revisions in the past, really handy tool. But, it does not solve the problem, as these fields become blank on their own, nobody changes them. And I would have to revert back every N amount of hours when those fields become blank. I would like to know, why do they become blanks once filled in? 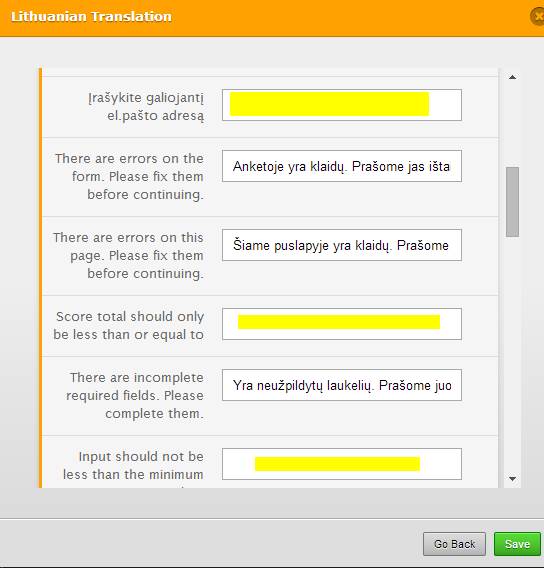 I will ask my translator to put those fields back in and make a screenshot. So far I was not able to reproduced yet the issue you mentioned on your form http://www.jotformpro.com/form/41253016933953 when I test it. Please inform us if you are still having this issue.